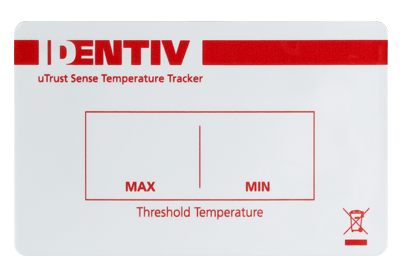 uTrust Sense Temperature Tracker is a compact datalogging NFC smart sensor that tracks and stores temperature readings. What do vaccines, blood, flowers, and fish have in common?This datalogger. It’s a dream come true for pharmaceutical and cold chain monitoring. 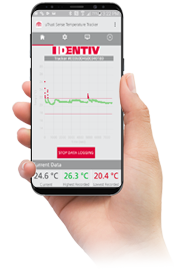 As a compact smart sensor for the Internet of Things (IoT), Identiv’s uTrust Sense Temperature Tracker empowers businesses by providing a low-cost, self-adhesive temperature monitoring solution for virtually anything. The data can be read locally by your mobile device or uploaded to the cloud for analytics and remediation. 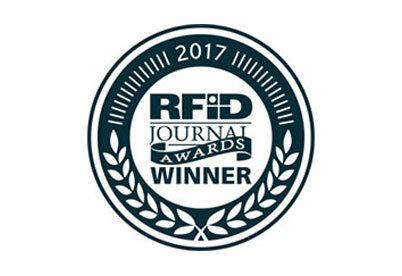 The tracker contains a precise temperature sensor, digital storage, flexible battery, and near field communication (NFC) tech. It communicates with local devices using a mobile device or industrial equipment app. The current temperature status and complete logged history can be reviewed locally or uploaded to the cloud. Optional cloud-based services include label management and configuration, record collection and storage, analytics and remediation, and record integrity checks. The Android-based app available on Google Play features tag activation and setup, online/offline option, and local analytics.